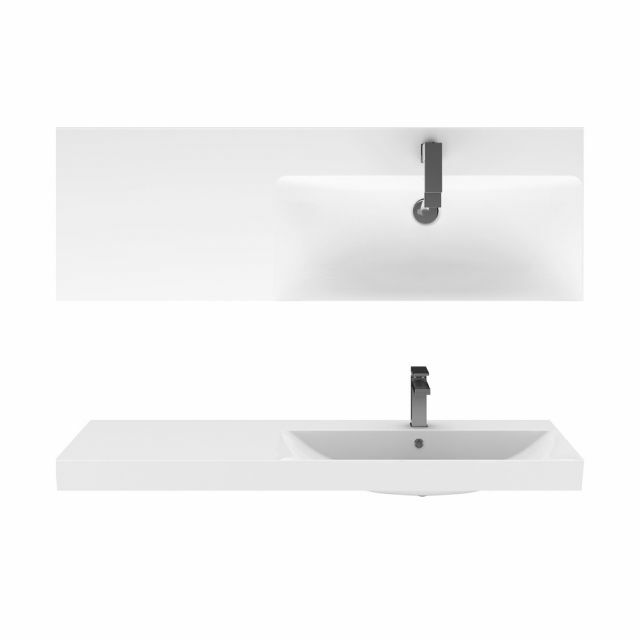 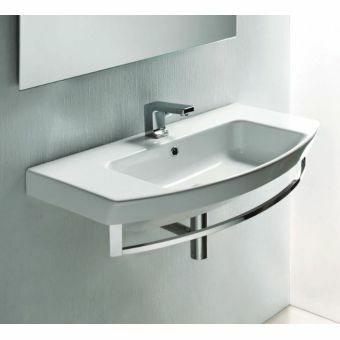 An iconic piece of design from the expert creative forces at Bauhaus, the Zion 120 Basin is a modern classic. 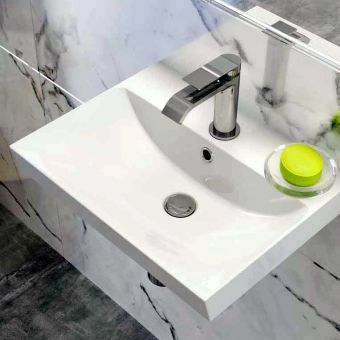 Crafted to be a true statement piece, this basin can be adapted to a range of design briefs, from surface installation to a furniture unit, to being paired with a work surface for a bespoke, custom design. 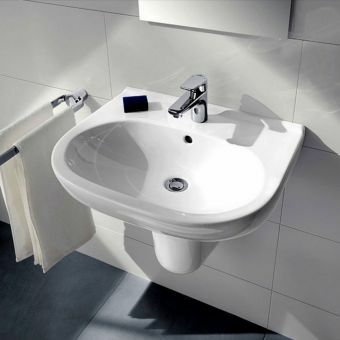 Getting creative with the bathroom arrangement is made easy with the Zion series of basins. 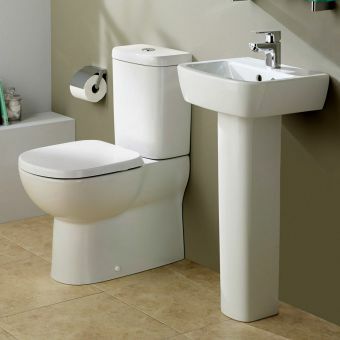 Created with a broad decking area, the main bowl of the basin is located either to the left or right hand side of the piece. 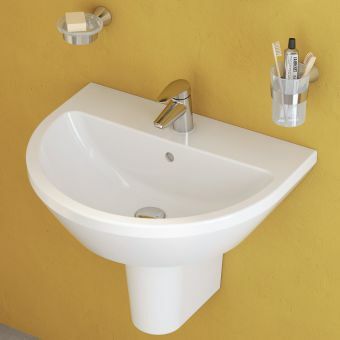 Delivered with a single tap-hole pre-cut and an overflow unit, this item is ready to be paired with a single mixer tap, as well as a slotted waste. Please note that these items are not included in the price. 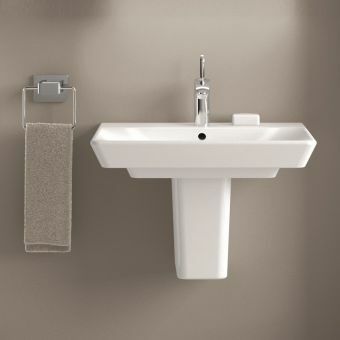 Formed from White Fine Fire Clay, this huge centrepiece of a wash basin is a gleaming white tablet. 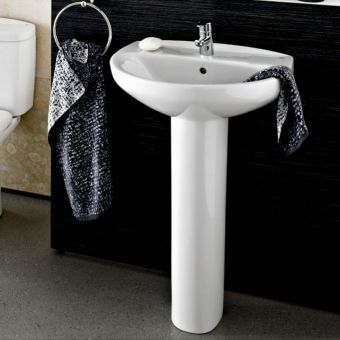 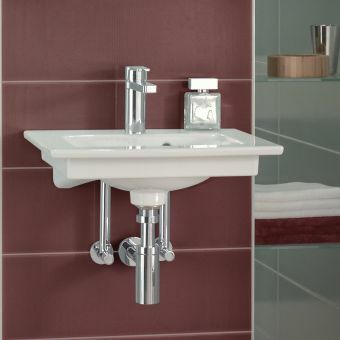 Measuring over a metre across, it makes a strong and assertive impact on the bathroom space, while retaining a real sense of sophistication and an inviting, tactile quality.